Hers's my version of one of the most popular board games: Settlers of Catan. 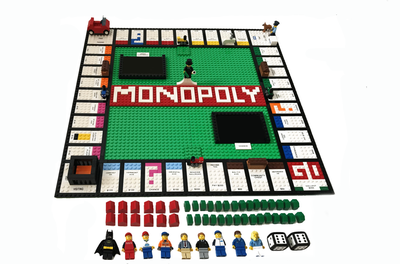 My version of the game sits on a 48x48 baseplate, allowing you to move it around easily for your game nights with friends. 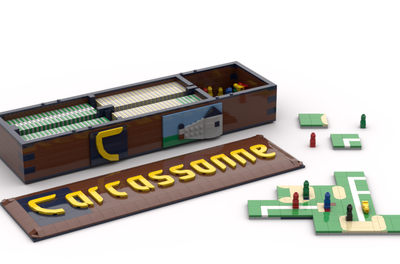 All the parts are made in bricks and it will require some custom prints or stickers for development cards and resources. The whole set consists in only 1500 bricks. 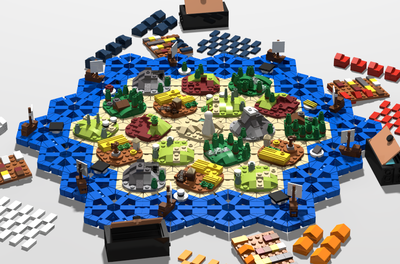 The terrain hexes fits nicely on the main island, allowing you to swap placements easily, to arrange your favorite setup. Ships and number's token can be swapped easily as well. 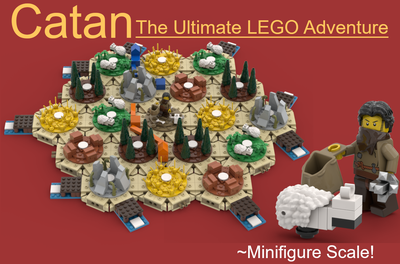 Minifigures will replace the Longest Road and Largest Army. In addition there will be also the Harbormaster, two points for the first player to get three harbors, in this case the game will go to eleven points. Thank you for taking some time to check my Catan, I hope you will like it, support it and maybe share it as well.